We love Community Supported Agriculture, and you should too! Our garlic patch in 2017! We began the business as farmers and have evolved to working directly with regional organic farms to maintain our commitment to sustainable agriculture and local food. As a business committed to supporting sustainable agriculture, Hosta Hill partners directly with local farms to produce the organic vegetables that go into our award winning sauerkrauts, kimchis, and hot sauces. In 2018, we proudly sourced almost $40,000 of produce directly from wholesale growers like Atlas Farm in Massachusetts and MX Morningstar Farm in New York State. Such partnerships allow us to use the purchasing power of our business to support farmer livelihoods in the region while accessing the highest quality, most nutritionally dense vegetables available for our ferments. Along the same lines, we believe that Community Supported Agriculture, or CSA, is one of the best available options for individuals and families to source their food in a way that more directly supports sustainability and equity in local food systems. For those unfamiliar with the model (or those who might already be long-time advocates), we wanted to share why we think CSA is important and invite fans of Hosta Hill to consider joining a local CSA this season. Now is the time to sign up! In its traditional form, CSA enables customers, or ‘shareholders’, to more directly support farmers in their community by purchasing a ‘share’ at the start of the growing season. This share covers the cost of growing food for the entire season, which allows the farmer a higher level of economic security while eliminating the extra work of sales and marketing. Importantly, CSA members also share in the risk of farming by receiving food in the quantity and quality actually produced by the farm. This means that specific crops might be more or less abundant depending on the growing conditions of a particular season. For farmers, the economic security provided by up-front purchase of CSA shares is important because the success of a growing season often relies on weather conditions beyond the control of farmers themselves. A bad growing season can often put serious financial pressure on farmers (or put them out of business altogether, as farmers in the midwest are currently experiencing in heart-breaking ways). The CSA model can play an important role in relieving some of that strain while building a strong community support system for the farmers. Some very high quality organic green cabbage and bok choy grown by Atlas Farm, one of our valued farm partners. For shareholders, the CSA model can increase awareness of the realities farmers experience while also providing access to the highest quality, freshest food possible as it becomes available throughout the growing season. As is the case for farmers markets, the food provided through CSA is often harvested day of, making it fresher than anything available at the grocery store. Because pickup often occurs directly on-site and includes interaction with farmers themselves, CSA is also a great way to get to know the people and place responsible for your food. 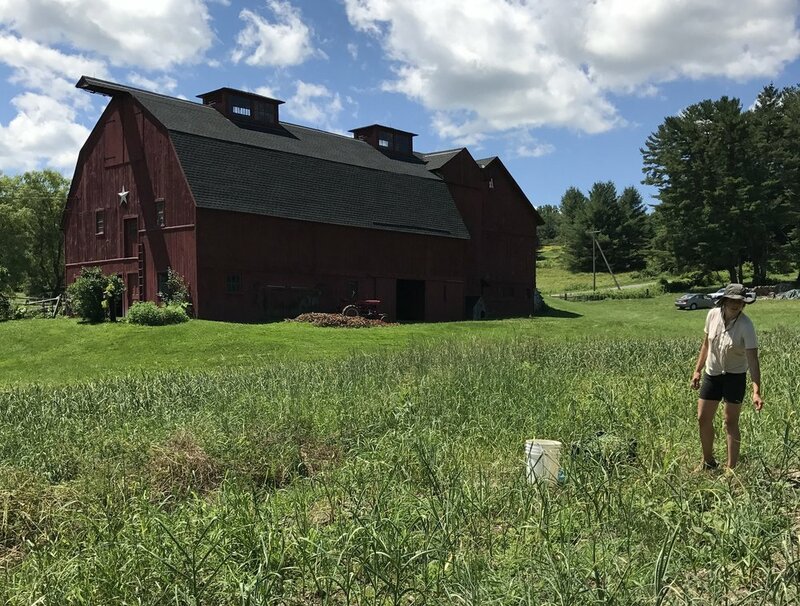 Here in Western Massachusetts we have an abundance of local farms to choose from when considering CSA, including Indian Line Farm, Woven Roots Farm, and Abode Farm CSA (who is currently fundraising for a new project!) - to name just a few. For those of you in the region, Berkshire Grown is a great resource for finding farms throughout the state. And in New York’s Hudson Valley, the Hudson Valley CSA Coalition maintains an up-to-date listing of CSA farms operating through the region. Wherever you are, there is a likely a local farm that would benefit from your support in whatever form you can provide it. Whether you choose to become a shareholder or a regular patron of the farm store, purchasing food directly from farmers is a great way to support food systems that are healthy for people and planet. 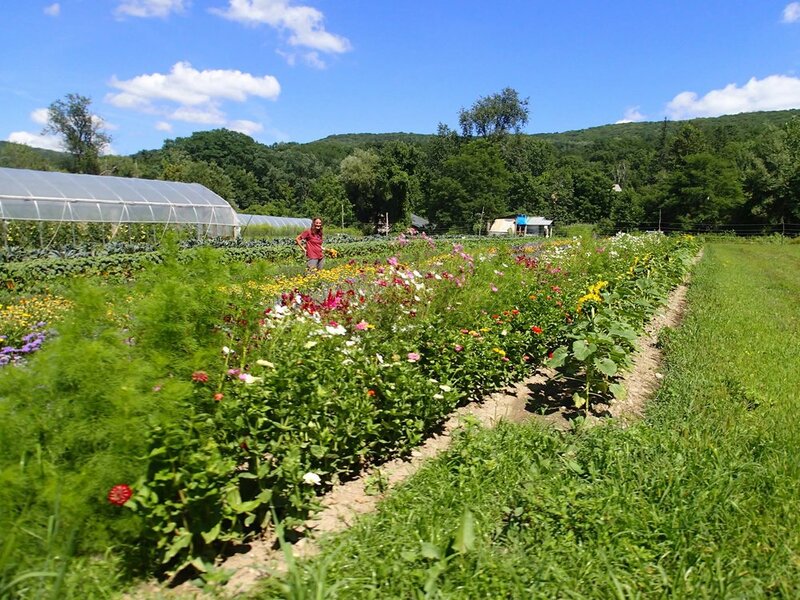 Abode Farm CSA in New Lebanon, New York offers ‘U PICK’ for shareholders as a way for members to pick their own flowers and produce.